On July 27th, the U.S. National Highway Traffic Safety Administration (NHTSA) announced that it is investigating more than one million Ford Explorer SUVs over reports of exhaust odors in vehicle compartments and exposure to carbon monoxide that may be linked to several crashes and injuries. Thus far, police have reported two crashes that may be linked to carbon monoxide exposure, including at least one rollover incident. According to the agency, there have been more than 2,700 complaints, three crashes, and 41 injuries linked to the carbon monoxide exposure. The investigation covers police and civilian vehicles covering 2011 – 2017 model year Ford Explorer sport utility vehicles. Reportedly, the probe was officially opened in 2016 covering 638,000 vehicles, and upgraded on July 27th into engineering analysis; this is the final step before the agency can formally demand that the automaker do a formal recall. While the agency has reported that it does not yet have any official evidence by way of blood reports confirming that any of alleged injuries associated with the crashes are a direct result of carbon monoxide poisoning in the vehicles, it has obtained preliminary testing suggesting that the carbon monoxide levels of those involved may have been elevated. Many are not waiting to take action: Reportedly, the Austin (Texas) police have pulled 40 Explorers from service after more than six officers became ill due and reported exposure to carbon monoxide. According to the NHTSA, reported symptoms include loss of consciousness, nausea, headaches, and lightheadedness. The NHTSA has already investigated more than 150 complaints from Ford Explorer owners about the smell of exhaust fumes coming from the cars, and reportedly, Ford has settled at least one class action lawsuit related to these complaints. According to one Fort Lauderdale man—a firefighter—who reached a settlement with Ford on the case, measured carbon monoxide levels reached 120 parts per million (ppm) of the gas in the vehicle he monitored. Other tests he conducted found 30 and 35 ppm; levels well above what’s considered safe for prolonged exposure. Automakers have a duty to ensure that their cars are safe for public use. There is already evidence that Ford itself should recall these vehicles, and the company has not yet taken any known measures to correct these safety defects. 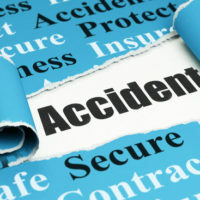 If you or a loved one has been injured or killed in an auto accident due to a manufacturing concern or any other negligent activity, contact us today at Friedland & Associates for a free legal consultation to discuss your options. Sometimes, there simply isn’t enough time to wait until agencies issue a final recall; by then, innocent victims have already been involved in deadly crashes due to the mistake.